Bug is snuggled up in bed. But will he get a good night's sleep? 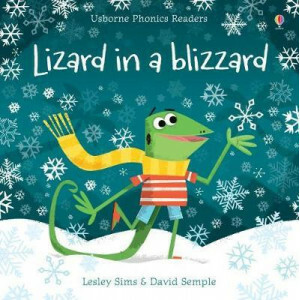 Press the buttons on the pages to hear this entertaining story read aloud, helping beginner readers learn to read themselves. With simp.. 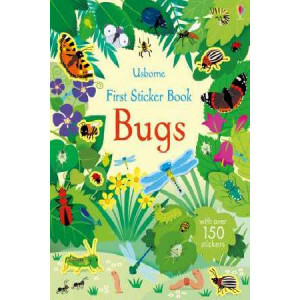 This little book is filled with charming illustrations of 60 different types of bugs to spot. 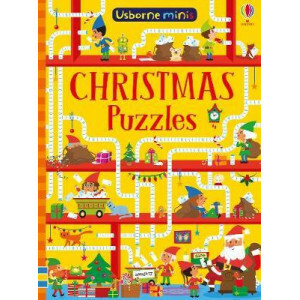 Short descriptions provide extra information and explain what to look for, and children can keep track of ..
Spot the differences in Santa's workshop, complete a Christmas crossword, find the perfect Christmas tree and much more in this festive activity book, filled with wordsearches, mazes, logic puzzles an.. 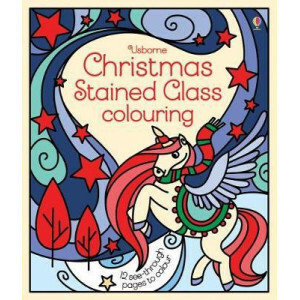 Create festive stained glass window designs to decorate your windows. Pictures include Santa and his reindeer, a skiing penguin, a beautiful Christmas tree and lots more. 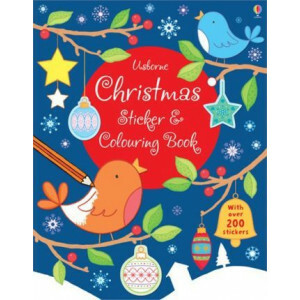 Colour in a design on the see..
Two books in one, this sticker and colouring combo will keep young children absorbed for hours as they get creative, completing Christmassy scenes depicting children playing in the snow, decorating th..
A festive activity book full of enchanting scenes to colour and bring to life using the transfers provided. Scenes include carol singers, a Christmas tree and Santa's sleigh, and there are dozens of t.. The circus is in town, but they need a clown. Could this be Cow's big chance? 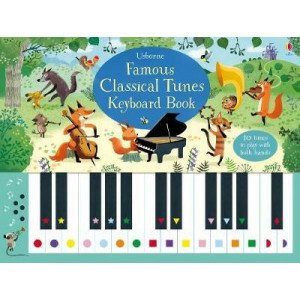 Press the buttons on the pages to hear this entertaining story read aloud, helping beginner readers learn to read themselv..
Children will learn to play 10 of the best-known tunes in classical music on the big keyboard in this beautifully illustrated book. Including music from Beethoven, Vivaldi, Verdi and Dvorak, this is a.. 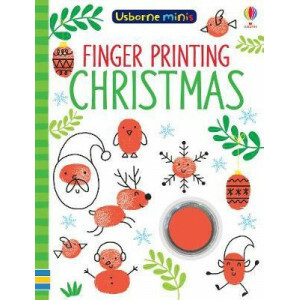 This little book is packed with step-by-step guides for children to create all kinds of Christmassy things using the paint provided and a pen. 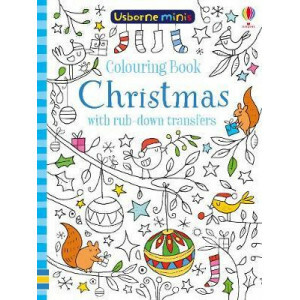 Children can learn how to make reindeer, elves, snowmen a.. 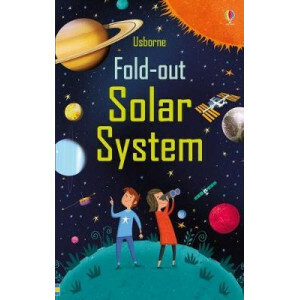 This superbly illustrated book folds out to form one continuous 8-page picture of our Solar System, featuring the Sun and planets, and various moons and spacecraft. Children will be inspired by the ri.. 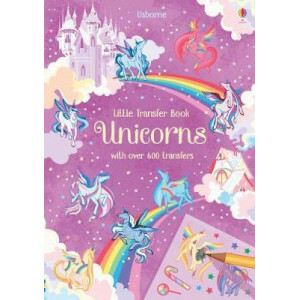 This charmingly illustrated journal is perfect for creative ideas, sketching and doodling or jotting notes about things you see and do during your holidays. 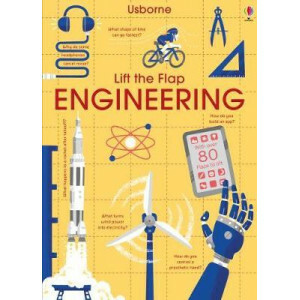 With inspiring quotes and ideas for things ..
A stylish introduction to the vast world of engineering - what it is, how it works, and how many different jobs it involves, from robotics and coding to earthquake-proof towers to medical innovation. .. This pad offers over 100 pages of write-on, tear-off paper and pencil games for little children to play with a companion of any age. 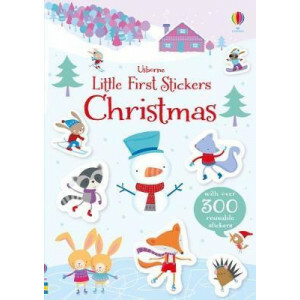 Simple concepts and lively illustrations make it ideal for journeys..
Add stickers to the scenes to help the friendly animal characters enjoy some winter fun, as they throw snowballs, try skiing and snowboarding, go carol singing, wander round a Christmas market, and v.. 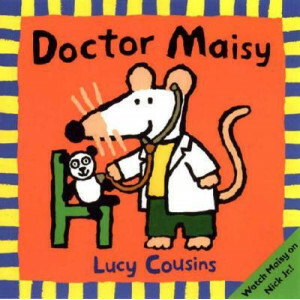 The perfect book for any child who has a pet or has dreamed of owning one - or several! 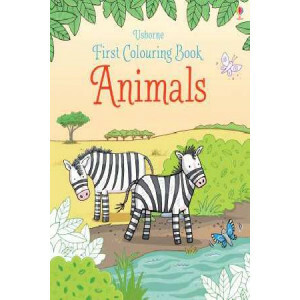 Children will enjoy filling scenes with playful kittens, snoozy chinchillas, adorable dogs and chirpy canaries. 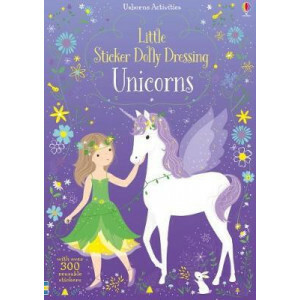 ..
From an enchanting fairy forest to a glittering elephant parade and unicorns flying high in the sky, watch each magical scene come to life as you add the stickers in this book. With over 200 reusable .. The Snow Princess is hosting a ball in her Ice Palace and has invited princesses from different snowy kingdoms. 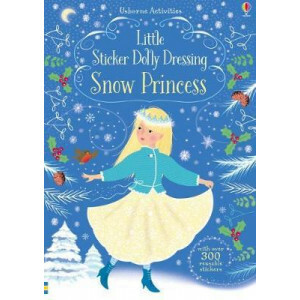 Little children will enjoy using the stickers to dress the princesses in beautiful outfi..
A magical activity book filled with unicorns and dolls for little children to dress using the stickers provided. Each page features a different scene to decorate, and there are over 200 reusable stick..
A cloud is blocking the sun and Lizard is determined to move it... But lizards are not wizards whatever Lizard thinks. 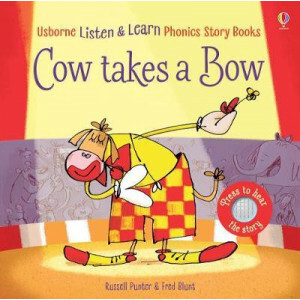 This fun rhyming story, specially written to develop phonemic awareness, has wond.. This draw-in activity book is packed with puzzles to solve, ideas to discover and objects to design. It explores some of the fundamental concepts that mathematicians use every day using just the conte.. 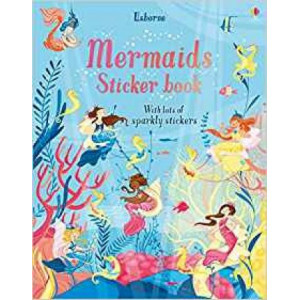 Enter a magical underwater world where mermaids play with dolphins, pamper themselves in a deep- sea spa, visit a seashell grotto, and bring presents to their mermaid queen. 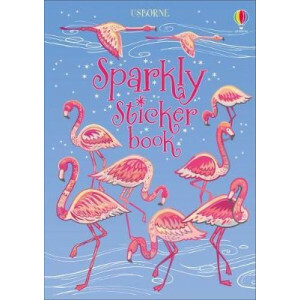 With over 250 stickers of ..
Children can learn all about multiplying and dividing with this educational activity book.  Inside is an array of tips and problem-solving techniques and space to experiment with these techniques. The ..
Whoever opens this book will unearth an amazing hoard of fun things to do outdoors, throughout summer - and the other seasons too. 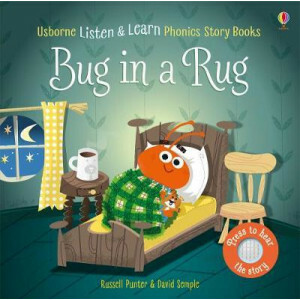 Whether you're in a garden or at the park, up a hill or by the sea, w..
Every child will love to learn their first words in the company of Poppy and Sam and the animals who live at Apple Tree Farm. 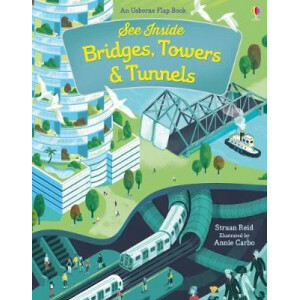 This book provides lots of opportunities for learning - it's full of first..
Delve behind the scenes to look inside bridges, tunnels and towers around the world. 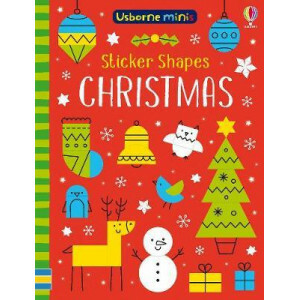 Lift the flaps to reveal the mechanics and engineering of constructions including the Channel Tunnel connecting Eng..
Full of ideas for kids to create all kinds of Christmassy things using the simple sticker shapes inside. They can follow the tips and suggestions inside, or try out their own combinations as they fill..
50 cards of unique, mind-bending puzzles. Each card has amazing replayability, as with the wipe-clean pen you can have as many goes as you like. The pack includes travel adventures, dangerous mazes, c.. This little book is filled with charming illustrations of 60 different types of trees to spot. Short descriptions provide extra information, and children can keep track of the trees they have seen usi.. 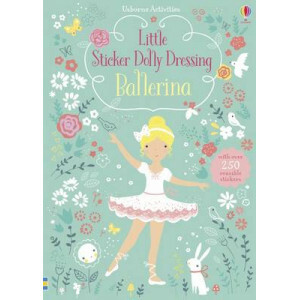 This beautifully illustrated book contains eleven charming scenes to complete with transfers, and even more pages to colour in. Add some wintery magic to rainbow skies, an ice palace, a frozen lake an..